Conceptual image of biohazard symbol. 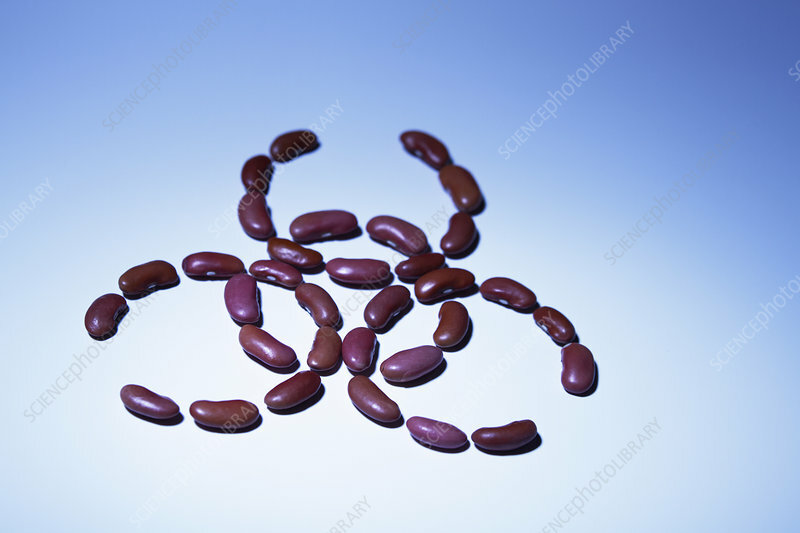 Beans arranged to form a biohazard warning symbol. Studio shot.